Lee Gledhill regularly represents registered professionals before the following regulators: the General Medical Council (GMC) and Medical Practitioners Tribunal Service (MPTS): IOP, FTP, Health): senior and junior doctors and medics (including Students, FY1, FY2, ST1, ST2 doctors); the Nursing and Midwifery Council (NMC) nurses and midwives; the Health Professions Council (HPC): arts therapists, biomedical scientists, chiropodists / podiatrists, clinical scientists, dietitians, hearing aid dispensers, occupational therapists, operating department practitioners, orthoptists, paramedics, physiotherapists, practitioner psychologists, prosthetists / orthotists, radiographers, speech and language therapists; the General Social Care Council (GSCC): social workers; Royal College of Veterinary Surgeons (RCVS): vets and veterinary nurses; the General Teaching Council (GTC): teachers; General Dental Council (GDC): dentists; Solicitors Regulatory Authority (SRA): solicitors; Financial Services Authority (FSA) Fit and Proper Person law - Financial Services and Markets Tribunal Legal Representation; and other non-clinical and clinical regulated professionals. Financial Services Authority (FSA) Applications and Refusals Lee Gledhill also prosecutes and defends police officers in police misconduct hearings, and advises/represents GPs in relation to performance list suspensions, removals, hearings, and appeals. Lee Gledhill provides legal advice and representation in all regulatory forums. Lee Gledhill advises on how to respond to complaints, prepare mitigation, on current legal developments, misconduct issues, impairment issues, fitness to practise evidence and procedure, deficient professional performance issues and lack of competence complaints. He has acted in numerous professional conduct hearings, some cases lasting as long as four or five weeks, involving clinical or professional failures, incompetence, inappropriate personal or sexual conduct, child and adult patient deaths caused or contributed to by errors of judgement or negligence, drug use, dishonesty, fraud, mis-prescribing, a lack of integrity, clinical shortcomings, and activities or conduct incompatible with a profession. Lee Gledhill strictly maintains confidentiality in all cases and has significant experience of defending registrants facing allegations of a sexual nature or concerning sexuality, where greater sensitivity is required. Lee Gledhill also advises on UK and overseas and EU applicant registration issues, fitness to practise issues, restoration to the register following removal, health committee matters, general practice standards, and interim suspension hearings. He also advises on appeals and judicial review from regulators decisions, interpretaion of codes of conduct and practice. 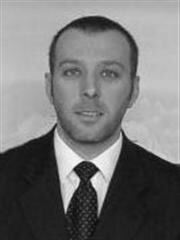 Lee Gledhill, over more than twelve years, has represented several hundred practitioners before their regulators. He is considered by many to be a leading expert in the field of regulatory defence law. He also undertakes PCT Medical Performers List cases (including suspension and removals hearings) and independent legal chair work. A large part of Lee Gledhill's practice is coronial law. Lee Gledhill advises on evidence and procedure in coroners' inquests. Lee Gledhill has a detailed understanding of the coroners' rules and procedure. He regularly acts for interested parties at inquests as their representative, including local authorities, families, care homes and commerical organisations. Lee Gledhill advises local authorities, GPs, GP Consortia, private organisations contracting with the NHS, hospitals, clinics, care homes, and commercial organisations where an unnatural, violent or unexplained death has occurred. Issues of liability, verdicts and evidence can be discussed by telephone or face to face. Alternatively, questions can be answered in written legal opinions and written advices. Judicial Review and Appeal advice is also available. Lee Gledhill has represented local authorities and families in prison custody death inquests. Lee Gledhill advises solicitors who are unfamiliar with the coronial process on the steps to be taken in preparation for an inquest. Lee Gledhill also acts for GP practices, hospitals, nursing and care home owners in Care Quality Commission (CQC), and Care Standards Inspectorate for Wales (CSIW CSSIW) matters, including Notices of Cancellation of Registration appeals to the Care Standards Tribunal (CST), and emergency home closures before a justice of the peace (magistrates courts). He also represents practitioners referred to the Independent Safeguarding Authority (ISA), Safeguarding Vulnerable Adults and Children Barring lists (SVGA), Protection of Vulnerable Adult lists (PoVA) and Protection of Children Act lists (PoCA), List 99, CCfW. Lee Gledhill advises on challenges to NHS primary health care needs assessments, NHS continuing healthcare assessments, total care nursing fees. He also advises on Registered Nursing Care Contributions (RNCC), as well as challenges to the NHS via the NHS complaints system and the NHS Ombudsman. He also advises on appeals within NHS procedures, and appeals and judicial reviews in the High Court. Additionally, Lee Gledhill represents the interests of public bodies and commercial organisations regulated by Ofsted, such as schools, children's homes, nurseries and child minders, in challenges of Ofsted reports and Ofsted notices of cancellation, and Ofsted appeals. Lee Gledhill also advises on and appears in cases related to Special Educational Needs claims for funding and support. Lee Gledhill has considerable experience in clinical negligence and personal injury work, acting for both claimants and defendants. He has acted in many personal injury and clinical negligence cases over the years including intensive care unit failures, surgical repair errors, cosmetic surgery errors, pressure sore injury causation - resulting from neglect, health and safety failures (for example: hot water mixer failures) and road traffic accidents (RTAs), all leading to serious injuries. He has represented members of the public, various professionals, local authorities, hospitals, public and private care establishments, in legal actions. His own clinical expertise and experience is an asset in such cases. Lee Gledhill advises on all aspects of medical law and mental health law, health policy and ethics, including issues of consent, detention under the Mental Health Act 1983 & 2007, mental capacity under the Mental Capacity Act 2005, withdrawal of treatment, vegetative state clinical decisions, and care of the terminally ill. Lee Gledhill provides advice and advocacy for applications in the Court of Protection and appears before Mental Health Review Tribunals (MHRTs), and the Court of Protection. Lee Gledhill provides Independent Legal Chairing Services for healthcare and other organisations. Lee Gledhill advises on Public Law Challenges to decisions of public bodies, including local authorities, national bodies and government departments, under the Human Rights Act 1988, and via judicial review. Also misfeasance in public office claims, claims for damages and costs. Lee Gledhill provides advice to local authorities undergoing a Serious Case Review in relation to the death of a child, an elderly person, or other individual in their care or ottherwise under local authority responsibility. Independent co-authorship of Serious Case Reviews available, by arrangement, with Paula Clements of Counsel. Lee Gledhill also defends in criminal (medical) manslaughter trials at the Old Bailey and other Crown Courts, particularly where there is significant medical evidence, and in trials where top level clinical consultants and academics are to give evidence. Lee Gledhill is highly competent in cross-examining clinical experts. Lee Gledhill advises on Criminal Record Bureau (CRB) checks, and challenges to the information recorded, for all health and other professionals working with vulnerable adults and children, who require special ISA and CRB clearance. He also advises and represents doctors in relation to other criminal allegations, including sexual assualt, speeding and road traffic offences. Lee Gledhill also acts in large asset proceeds of crime confiscation cases. Lee Gledhill writes on medico-legal issues, with a focus on nursing neglect, pressure sore cases, coroners inquests, and the patient's capacity to consent. In 2005 he won first prize in the British Journal of Nursing Awards, for a published medico-legal article on the prevention of pressure sores and legal implications for nursing neglect. Lee Gledhill also lectures on medical law, coronial law, clinical negligence, care standards and general regulatory law. Healthcare Contracts Law, Policies and Audits for bodies contracting with healthcare bodies, including NHS contract interpretation. Lee Gledhill advises on certain GP, Consortia, Dentist, PCT, and other healthcare provision commissioning contracts and attends hearings (where lawyers are permitted to attend), and mediation hearings. Lee Gledhill advises on reputation management, corrections to media-distortions and 'sensationalist' writing, libel / slander claims, injunctions and damages / compensation claims. Lee Gledhill also advises on other areas of regulation, including bio-agricultural law, animal welfare law, animal health, human pharmaceutical law and product liability, Medicines and Healthcare Products Regulatory (MHRA) Law and Regulation, applications and appeals, Trading Standards prosecutions and defence. Lee Gledhill also prosecutes and defends police officers in police professional conduct hearings. Lee Gledhill advises on all aspects of licensing law and licensing regulations and attends licensing application hearings to represent clients' interests. A proportion of Lee Gledhill's practice is employment law connected with health care jobs. He advises on disciplinary hearings, appeals and employment tribunal claims - unfair dismissal, discrimination claims, equal pay claims, clinical concerns leading to disciplinary investigation, discrimination and damages claims. (Current) BTAS Barristers Disciplinary Tribunal (Current) CIPFA Disciplinary Tribunal (Past 2007 to 2012) Part-Time Vice-Chairman of the Professional Conduct Disciplinary and Appeals Panel of the Royal Institute of Chartered Surveyors (RICS). Also a member of the RICS Ethics Committee (Past: 2009 to Dec 2014). Lee Gledhill is the CEO/Head of Alexander Chambers. From a Registered Nurse client who we assisted with an NMC Fitness to Practise (FTP) investigation: "Sheer relief! That is what I felt when I met Mr Gledhill in London to talk through an allegation made against me. The allegation was complicated and complex. I was at my wits end with worry and stress. I didn't know what I needed to do next or how to go about providing the evidence I needed to show to my nursing governing body. On entering Mr Gledhill's office I was put at ease immediatly. I had so much I needed to say. I was tearful, emotional and weary from a situation which had been dragging on for months. Mr Gledhill understood and patiently let me speak until I had finished. I felt drained and carried a strong sense of injustice with regard to my situation. "Mr Gledhill understood the facts as I outlined them and managed my case. He gave me the counsel I needed to mobilise myself into action and provide the relevant information necessary to state my side of the story and my case to be presented to the NMC. There was work involved for me and it wasn't easy but I felt held by Mr Gledhill's experience and matter-of-factness which helped me to see a clearer picture of my professional dilemma. "Within a few weeks my case had been heard and was dealt with efficiently and with a positive outcome. I know this is due to Mr Gledhill's professional approach and in-depth medical knowledge and understanding of the workings of my profession. "I can't thank him enough. The experience has made me stronger and more astute in my clinical setting. I am so glad I engaged his services and will recommend the Chambers to anyone who needs professional help and assistance in the future." Nurse H, UK. ------------------------------------------------------------------------------------------ From a Registered Teacher client, assisted with regulatory misconduct FTP investigation. The case was eventually closed on paper, after lengthy submissions over a period of two years: "Just a quick note to thank you for all your hard work upon the recent case. Your help and advice throughout the whole has been truly outstanding!" Teacher M, England ------------------------------------------------------------------------------------------ From a Registered Audiologist client, assisted with HCPC regulatory proceedings: "If there is a 'rate my barrister' website or something similar, please let me know, you have been great to me and have restored my faith in legal professionals." Mr D (Audiologist) ------------------------------------------------------------------------------------------ OTHER INFORMATION: Lee Gledhill also acts in the following areas of law: coroners inquests, care standards care home law, clinical negligence, professional conduct fitness to practise, personal injury, professional negligence, medically related crime Lee Gledhill gives legal advice on the operation of care homes, nursing homes, and children's homes in English and Welsh law cases. He also acts in GP performance list disciplinary and appeal hearings operated within the Law giverning PCTs in England and Wales. Instruct Barrister Lee Gledhill via Solicitors or directly through the Bar Council Direct Access Scheme. Alexander Barristers Chambers Lawyers also act in health care and regulation law cases, protection of vulnerable adults (ISA) defence, barring and vetting legal cases, protection of children, care standards tribunal appeals (CST) first and second tier, public law cases, public law challenges, Human Rights Act 1988 claims against public bodies, general medical council fitness to practise (GMC) law (both legal defence advice and representation) including appeals and judicial reviews, pharmacy and pharmaceuticals.